Creating home remodeling projects doesn't have to be difficult or time-consuming, even if you have never done it before. 3D Architect Home Designer floor plan software is the perfect tool to enable you to plan and visualize your next home improvement or remodeling project quickly and easily. Draw walls, rooms and buildings quickly and accurately with dedicated, fully customizable tools. Then add other construction features with fast drag-and-drop modules. Change measurements, scale, color and textures at the touch of a button. With a single click of your mouse, enter 3D mode where you can add furniture, lighting, change the décor and take a virtual walk through of your building. Avoid expensive mistakes by perfecting your ideas before starting work or seeking professional advice. 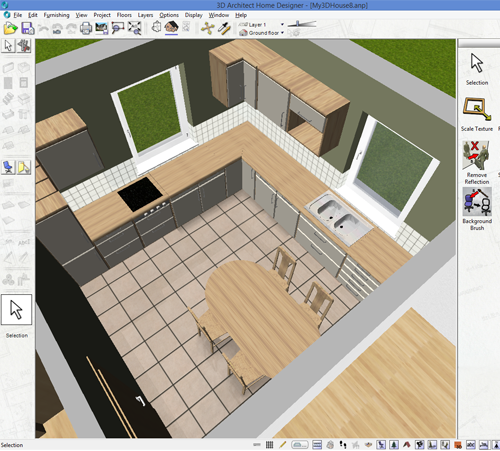 Start planning your next home remodeling project today with 3D Architect Home Designer floor plan software. You don't need to be an experienced in CAD software. It's simple for anyone to learn. 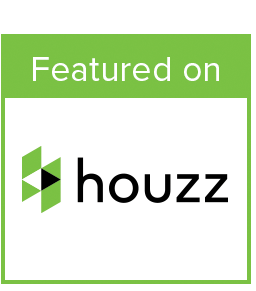 Easily identifiable, each tool will guide you logically through a particular part of the renovation design process. Use simple drag & drop method to insert objects in your dashboard, point and click to place walls or use numeric input methods to customize and adopt object styles. You don’t have to draw everything you need from the scratch. 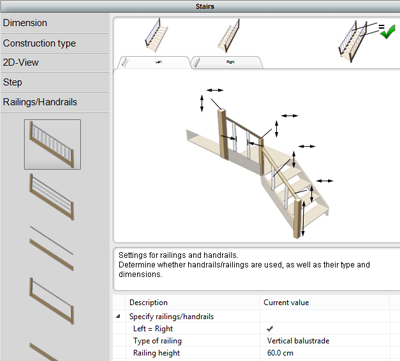 Insert objects, point and click to place walls or use numeric input methods to enter dimensions. This easy to use interface allows you to quickly draw floor plans including modern house plans and commercial property plans. 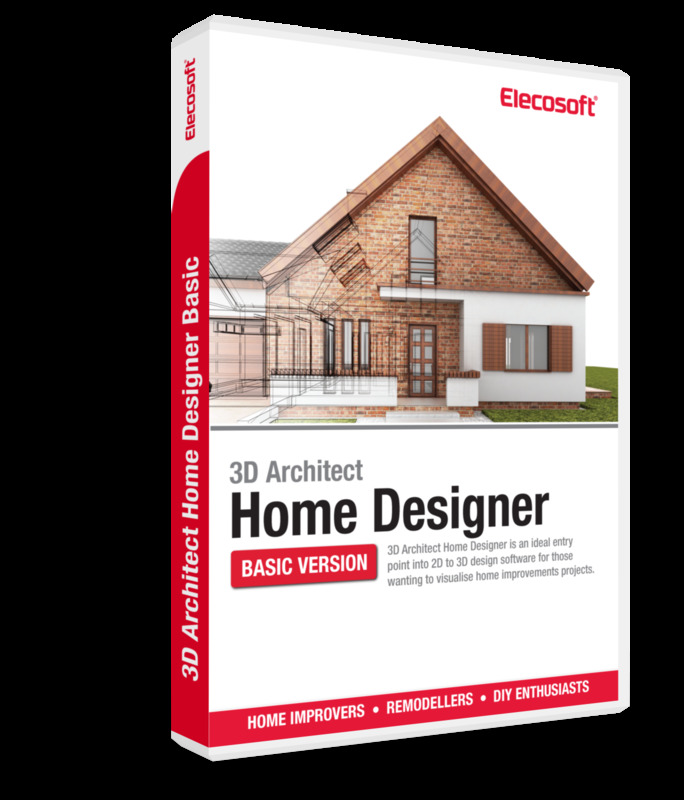 One of a number of different ways to construct a design in 3D Architect Home Designer, the room planning tool enables you to build a complete floor plan one room at a time. Select a room shape which closest matches to the design you have in mind and add to your plan area. Then add a dimension for each wall to create an accurate sized room. Repeat the process with other rooms to create a full floor plan. Over 8,000 textures, materials, furniture items and objects will help you to experiment with styles. Furnish your project with objects for bathrooms, kitchens, living/dining areas, offices and gardens. All objects can be amended and modified, re-sized and adjusted as required. Apply textures to surfaces, objects, fixtures and fittings to change their appearance and style. Add materials to provide reflective surfaces, glass properties and mirrored finishes. Also includes 3D Warehouse interface for adding other furnishing items directly to your design. Create high-quality renderings with ambient shade and real-time shadows/reflections. Your projects can quickly and effectively be turned into a full visualization scene. Its compact format enables fast scene building with close-to-reality and simple handling. 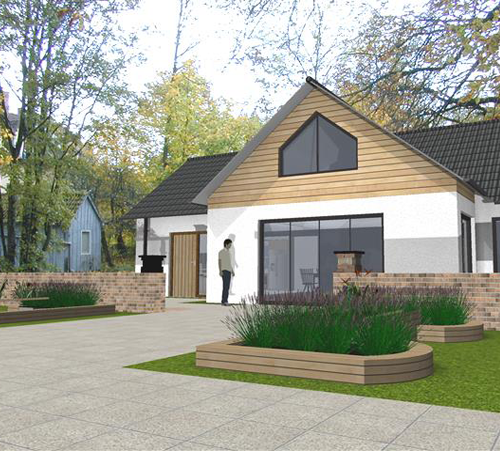 Creating visualization of the home renovation project couldn’t be simpler with 3D Architect Home Designer software for home renovation. Draw the floor plans in a traditional 2D plan mode and with a single mouse click see results in 3D view. See your 3D model from all angles and analyse it in detail with the 3D walk-through.